This month brings three dates that bring to mind some of the strides women have made throughout history. Women now have rights women of the past had only dreamed of. All too often, we take for granted the gifts we’ve been given, and adversely, we sometimes forget to demand for something more. In my October series, I hope you see some of the rights women have in a new light. Question: What’s more pink than Valentine’s Day and the Pure Romance Corporate offices combined? Why? As you probably know already, October is Breast Cancer Awareness Month. If you take a look around Target, Walmart, or Macy’s, chances are that you’ll see makeup, boxes of crackers, golf clubs, and hairspray that are dusted in pink and have that iconic ribbon on them. Breast cancer, which will affect about one in eight women in the United States, has become all too familiar anymore. The fact that it is so prevalent is unavoidable and disheartening. It has become a part of our daily conversation, not just October’s conversation. For me personally, I always feel moved to find a cure, and with the Patty Brisben Foundation for Women’s Sexual Health, we fund important research in the four pillars of the PBF: vulvovaginal pain disorder, pre-menopause and menopause, libido, and sexual dysfunction after cancer therapy. What Breast Cancer Awareness Month proves is that women are being heard, loud and clear. As women, we have a right to be aware of our health. Additionally, we have a right to take care of our health. We tend to struggle with the idea that we deserve time to take care of ourselves, but ladies, we must. It’s easy to think that if you use an hour of your day to work out, you’re taking time away from your family. I have to tell you—the exact opposite is true. When you take an hour to benefit your health, not only are you adding onto your own life, you’re also setting a great example for your whole family. You’ll be there longer for them when you take care of yourself. 1. Go to the doctor when something is off. No one knows your body better than you do; when something isn’t quite right, you know it. Don’t waste time trying to figure it out on your own. Seek medical attention as soon as you can. Even though this may seem like an overreaction at first, don’t see it that way. This is your health—it can’t be taken for granted. 2. Eat right. Eating right is very individual to the woman. We all have various intolerances and preferences. If you need help building a healthy eating regimen, set up an appointment with a nutritionist. It takes just one meeting to gain an understanding of what kind of eating will suit your needs. 3. Make time to exercise. Most personal trainers will tell you to work out five to six days a week. Don’t feel bad if you miss one workout—something is better than nothing sometimes! Not sure of what types of workouts you should be doing? Get a membership to a gym to try out different classes, meet with a personal trainer, or feel it out for yourself. You won’t know until you try! 4. Take a time out for mental health. Never feel guilty for taking a moment for yourself. Whether that’s a half hour watching your favorite TV show or reflecting on your day, give your brain a break. Breathe and release the stress. 5. Spend time with the people you love. This is the secret to excellent mental health. We get so caught up in things that we “need” to do that we forget to stop and enjoy the people we love the most. Have a romantic night with your partner, spend a Friday night out with your girlfriends, have a nice dinner with your parents. Trust me, it’s worth it. 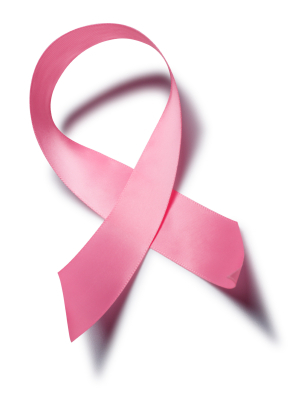 Breast cancer is taking a toll on women at younger ages every year. This October, honor the cause, your body, and your family by taking care of yourself and being mindful of your health.